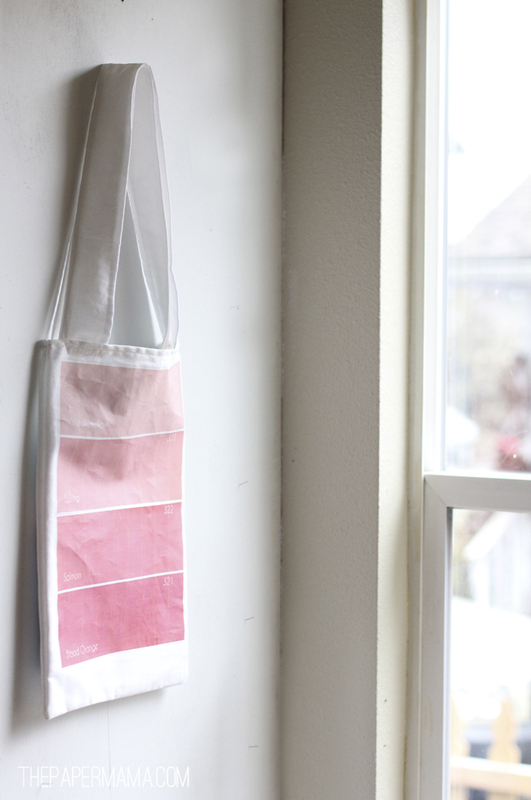 Paint Chip Tote + a new post on BHG: a Paint Chip Pillow! 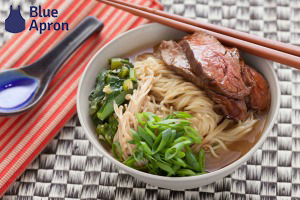 Another Thursday, another Better Homes and Gardens post. Yay! 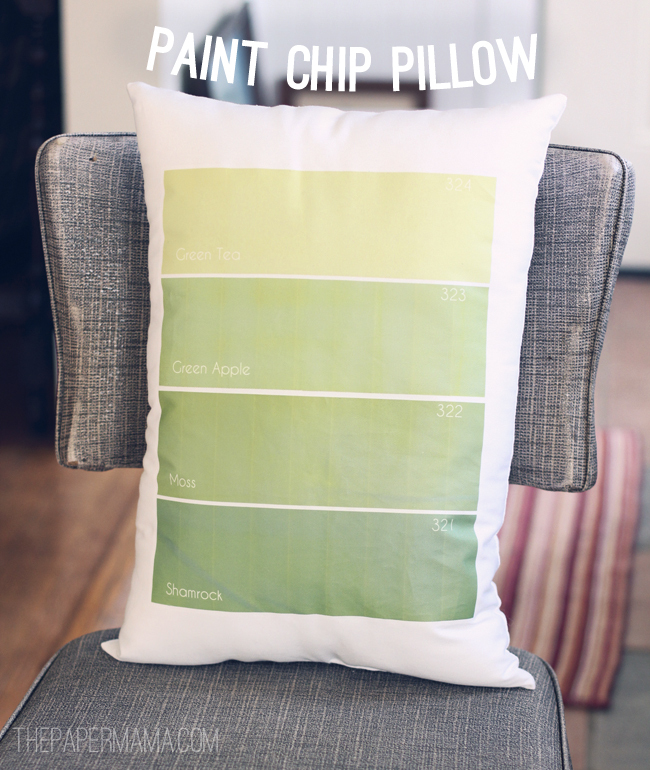 If you head on over to the Better Homes and Gardens blog today, you’ll see a DIY for my Paint Chip Pillow. Yeah! 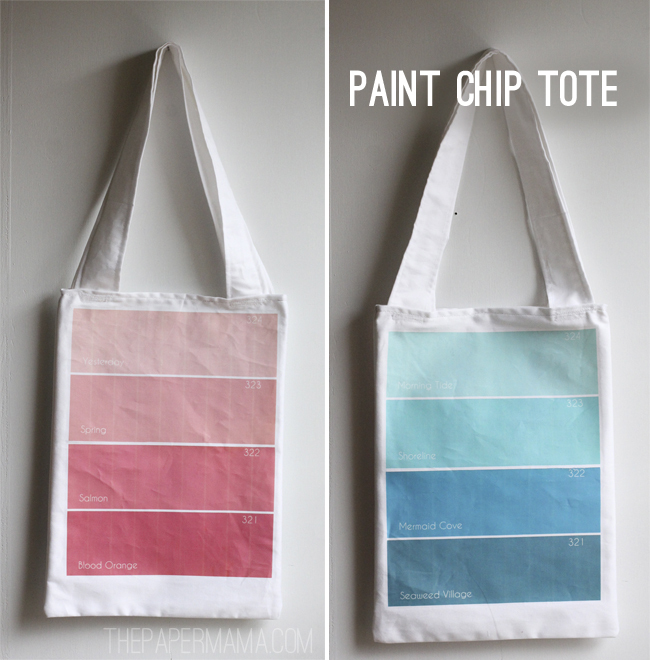 I used my paint chip printouts to create a Paint Chip Tote & a pillow. 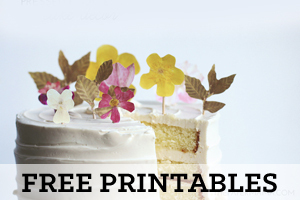 Head over to BHG to get your free printouts today. If you’d prefer to make the tote instead of the pillow… It’s pretty much the SAME thing as making the pillow. Just stitch an opening at the top and add some straps. Yup! I really hope you enjoy! I’m loving this pillow and tote. <3 Also, here’s a sneak peak of my BHG Paint Chip Pillow. I think it’s pretty adorable….. I love.love.love. this, I was thinking of posting this over on my blog to share your great idea! What do you think? Thank you! 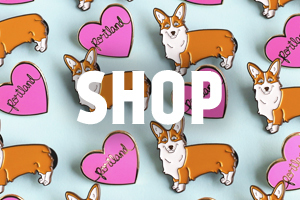 You're always welcome to share, with a link back to the post. Thanks! I just love the simple idea for this. What an awesome idea!! Love the end result of this!